BC, CANADA – Jack Nicklaus designed Nicklaus North to be a top golf destination to include in golf packages to British Columbia, Canada. BC and ALBERTA, CANADA – There are a lot of beautiful golf courses that call BC and Alberta, Canada home. 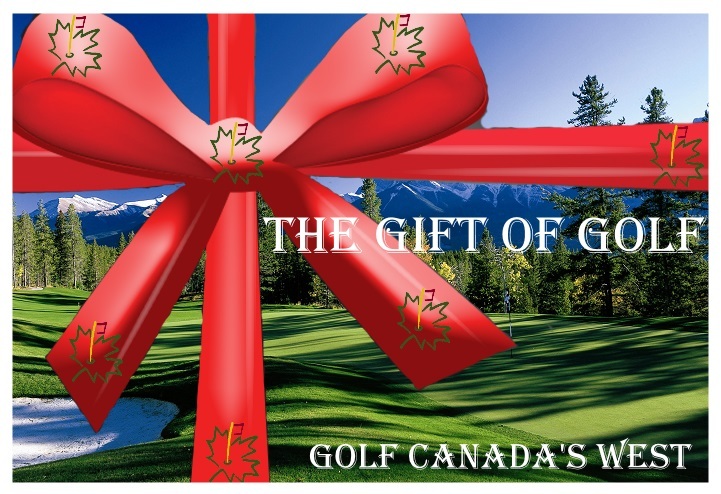 It’s tough to go wrong no matter which golf package you book – but if you want to see the most beautiful the region has to offer on your golf vacation listen to this advice from CanadaGolf.com to know exactly which courses to bring your camera to, along with your clubs. VANCOUVER ISLAND, BRITISH COLUMBIA, Canada – CanadaGolf.com‘s Terry Patch recently sat down with Vancouver Island golf expert Tim Woods to find out which are the best golf courses on Vancouver Island. So, heed his advice and plan your golf packages or golf vacations accordingly! BRITISH COLUMBIA, CANADA – The Mayfair Lakes Golf and Country Club was recently named the seventh-best course in BC, Canada. And for good reason – with the towering beauty of the North Shore Mountains serving as a backdrop, Mayfair Lakes in Richmond is a golf destination that is becoming more and more popular in golf packages. Another reason it is a great golf course to play on your golf vacation is that, though it has the surroundings of a beautiful country course, it’s actually in close proximity to Vancouver. OLIVER, BC, Canada – The Fairview Mountain Golf Club located in Oliver, British Columbia – the wine capital of Canada – is one of the top golf courses to book a golf vacation to when in this region of Canada. The fact that it has a reputation for spectacular golf makes it a popular course in golf packages to BC. VANCOUVER ISLAND, BC, Canada – Nothing is better than a morning of golf and an afternoon of surfing. And both can be done on the western coast of BC’s Vancouver Island in Canada. Still most golfers that book golf packages here do not surf afterward, so don’t worry if you don’t have a surfer’s physique because it’s still a great chance to play one of the top golf courses, such as Long Beach Golf Course at Tofino in British Columbia. VANCOUVER ISLAND, BC, Canada – Vancouver Island in BC provides an opportunity for an easy and great weekend golf vacation getaway to spectacular golf courses with ocean views along Qualicum Beach. Golf packages to this stretch are among the most popular in British Columbia, so call in sick on Friday and ready yourself for a long weekend of golf in Canada’s island paradise. OKANAGAN, BRITISH COLUMBIA, Canada – Okanagan has some of the most scenic courses in British Columbia. Although, it doesn’t compete with the scenery at Whistler, it is still a fantastic golf destination. Golf packages fill up quick with these courses, and golf vacations are never long enough when playing 18 holes surrounded by the natural beauty of Okanagan, Canada. BRITISH COLUMBIA, CANADA – Canada’s BC boasts arguably the most scenic courses on the continent of North America. Golf packages fill up quick with these courses, and golf vacations are never long enough when playing 18 holes surrounded by the natural beauty of Canada.